With Halloween behind us, it’s that time of year to start planning our Remembrance Day feasts. This year I’m thinking of serving roasted kale with an oak leaf salsa. I hate how the stores put up all their Remembrance Day stuff like, RIGHT AFTER Halloween. Give us some breathing room retailers! But I can’t resist. I bought some poppy socks and a cool Flanders Fields tote bag, designed by Margret Atwood for ROOTS. Hey, if you’re on the Internet, check out the new GONG THE SHOW website made by our pal Geoff Lapaire — www.gongtheshow.com. 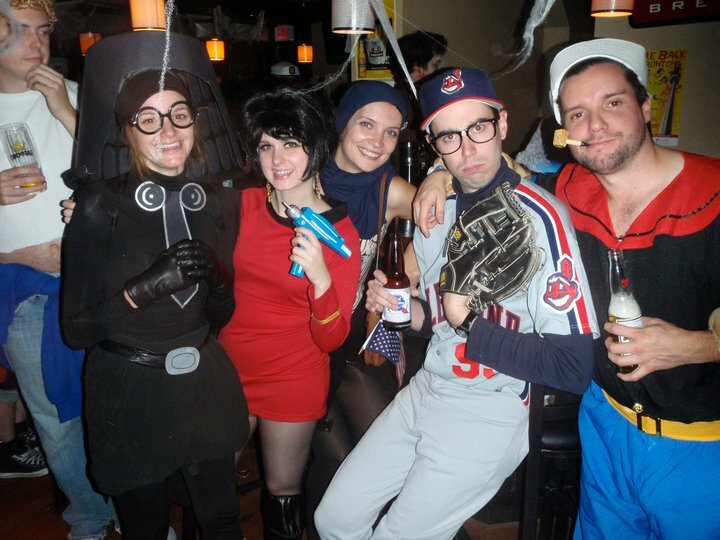 Check out my Ricky “Wild Thing” Vaughn costume. This demonstrates my attention to detail and dedication to the job, potential employers. congrats on the site glenn!